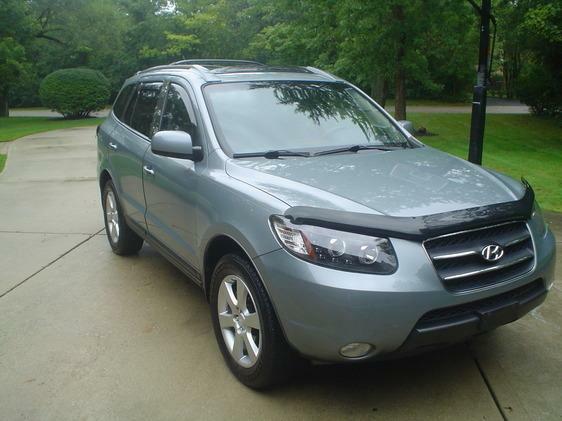 2008 Hyundai SANTA FE. Platinum sage metallic with beige leather interior. AWD, NAV, V6, moonroof, 103K miles, heated seats, premium audio with steering wheel controls, traction control, two keys with remotes, roof rack with crossbars and more. This Santa Fe Limited looks and runs new. Not a squeak and nonsmoker. You will not be disappointed.